Explore Oceanography and discover the science of the oceans at the world-leading National Oceanography Centre Southampton (NOCS). This hands-on course will equip you with excellent skills for a career in industry such as a government agency, civil engineering, the oil and gas industry or consultancy. The degree is accredited by IMarEST, the industry’s professional body. Oceanography is a truly interdisciplinary subject, exploring the complex interactions between the ocean and Earth. You will develop a full understanding of a broad variety of marine processes from waves, tides and ocean currents, to sediment transport, fisheries and marine ecosystems. You will be taught by expert staff, many of whom are leaders in their research fields and are working on international projects covering a variety of different challenges from climate change to the exploitation of our oceans. Encompassing two major field trips and potential access to the University’s teaching vessels, you will gain that extra experience that will set you up to embark on the scientific career of your choice. All of our Oceanography courses are accredited by the Institute of Marine Engineering Science and Technology. Beyond a common core of basic marine science, you may decide to specialise either in chemical, physical or geological aspects of oceanography or to follow a broader general pathway that gives you a fully interdisciplinary approach to ocean science. All undergraduate applications should be made through the Universities and Colleges Admissions Service (UCAS). Click on the 'How to Apply' tab on the navigation menu for detailed information on how to apply including deadline dates or click here to go directly through to the UCAS website. 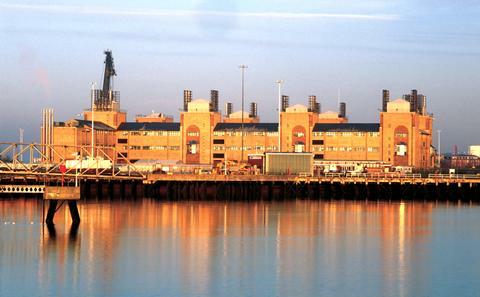 The Institute of Marine Engineering, Science and Technology (IMarEST). The National Oceanography Centre has incredible facilities for work and learning. Just outside you can board Callista, a research vessel, which undergraduate students get to go on regularly for fieldwork. This gives you a feel for real life oceanographic research. ABB grade A levels or an equivalent standard in other qualifications approved by the University. These should include two sciences from Biology, Chemistry, Geology, Maths, Environmental Studies, Geography or Physics. We will consider your BSc Oceanography degree application as soon as possible after it arrives at the University. In selecting applicants, we use the information provided on the UCAS form to determine whether you have the potential to flourish within Ocean and Earth Science. Candidates who are predicted to attain our standard degree offers will be invited to visit the University and the waterside campus. During this visit, you will meet with one of our academic staff to discuss the offer and explore how your interests and aspirations fit with the course. This formal interview also gives us the opportunity to get to know you. 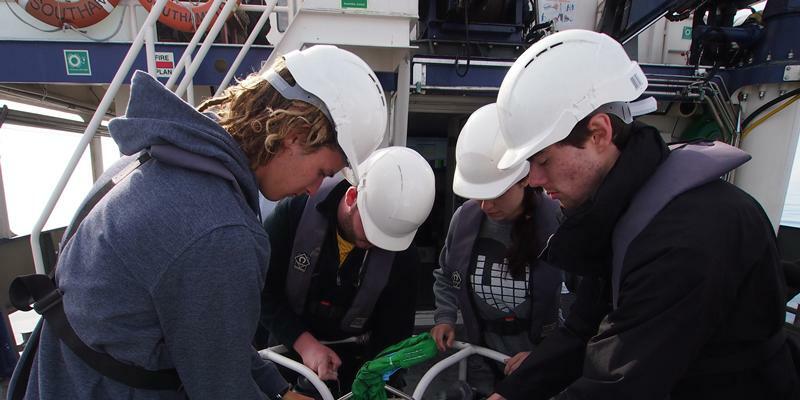 Over the BSc Oceanography course, you will gain an extensive knowledge of contemporary oceanographic science and develop a broad range of sophisticated laboratory and field skills and techniques. You will take 6 compulsory modules which will enable you to place oceanography in a global context. Two modules can be selected from the option lists, along with modules from Archaeology and Physics. Depending on your background, you will take one mathematics module from SOES1010, MATH1004 or MATH1008. A further option module is ARCH1029, Introduction to Archaeology. Option modules also include Archaeological methods for fieldwork and analysis, Landscapes and Seascapes or Energy and Matter combined with Physics Skills. You will continue to acquire knowledge of a broad range of oceanographic topics from multi-disciplinary modules and those focussed on single-subject sciences as well as from the tutorial programme. If you had studied SOES1010 or MATH1004 in year 1, you must take SOES2028 plus one other option. If you had studied one or both of MATH1008 & MATH1009 in year 1, then you can choose two other options across the two semesters, which may include MATH2015 if both MATH1008 & MATH1009 were taken. One of these may be a designated module from Archaeology, Biological Sciences or Physics subject to timetabling and meeting any pre-requisites. You will have the opportunity to specialise further, and will choose FIVE from the following options. You will also undertake an independent research project. Stationery Approved Calculators: Candidates may use calculators in the examination room only as specified by the University and as permitted by the rubric of individual examination papers. The University approved models are Casio FX-570 and Casio FX-85GT Plus. These may be purchased from any source and no longer need to carry the University logo. Books Where a module specifies core texts these should generally be available on the reserve list in the library. However, students may prefer to buy their own copies. These can be purchased from any source. Some modules suggest reading texts as optional background reading. The library may hold copies of such texts, or alternatively you may wish to purchase your own copies. Although not essential reading, you may benefit from the additional reading materials for the module. Equipment Field Equipment and Materials: Please see Appendix 4. Equipment Laboratory Equipment and Materials: Laboratory equipment and consumables will be provided where appropriate. (Please also see Appendix 4). Fieldwork Logistical costs: Please see Appendix 4. Clothing Lab coats and safety spectacles: Marine Biology students will receive a lab coat, dissection kit and waterproof notebook during Induction. If these are lost the student must replace them at their own expense. Clothing Wet Suits: You will need to purchase a suitable wet suit and associated snorkelling equipment if participating on SOES6052. Equipment Hardware: It is advisable that students provide their own laptop or personal computer, although shared facilities are available across the University campus. This appendix covers all programmes offered in Ocean and Earth Science that include fieldwork. Experience of working in the field is an essential part of your learning process and is also widely regarded as valuable in personal development. Please note that circumstances may dictate that some field-courses are timetabled within part of the vacation period. For compulsory residential field courses, accommodation and travel are provided (for Independent Geology Mapping a fixed amount is provided to cover these costs for the least expensive area). You are usually expected to cover the costs of food and drink, although some courses may include meals. For optional field courses, students are asked to make a contribution to the travel and/or accommodation costs. Details are provided in the table below. Please note that if a field course is compulsory for your degree programme and you later move from that degree programme to one where that field course is optional, you will be charged for the cost of that field course. To provide an example: students on the MSci Marine Biology programme undertaking the field course to Bermuda will be charged the full cost of the field course if they later choose to transfer to the BSc Marine Biology degree programme. In addition to the field courses mentioned in this booklet, there are also one-day field courses associated with specific modules; students are expected to cover food and drink costs for these days, but transport is arranged and paid for by the department. As the department arranges transport, should students wish to make their own way to or from field courses, then they must meet these costs themselves. As this is an overseas field course which requires the department to make early flight bookings to minimise costs, students who pre-register for this module will be liable for the full flight costs if they subsequently opt not to take the module. Precise costs depend on specific arrangements made by students and on individual destinations. 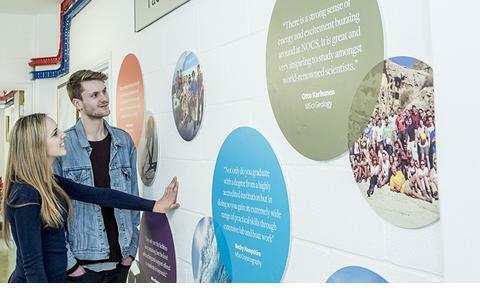 The department undertakes to cover the costs for accommodation and travel up to the cost of the least expensive destination, and currently provides £500 per student. This field trip is optional and open only to MSci Marine Biology and MSci Biology with Marine Biology students. 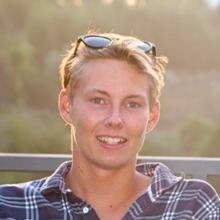 Students are expected to fund their travel and to provide their own snorkelling equipment, including 3mm-thick wetsuit. The total cost is currently expected to be no more than £800-900. The department provides full board, IT and lab facilities and course-related travel whilst on Bermuda. Where a student contribution is made, invoices will be issued approximately 2 weeks prior to the start of a field course and payment will be due within 7 days. Dates and costs are correct at the time of going to press. • Geology and Geophysics students will need a minimum amount of field equipment and this is provided by the department. Most will be provided during Induction. • Geology students receive: compass-clinometer; geological hammer; hand lens; waterproof field notebooks (quantity depends on degree programme); steel tape measure; safety helmet; clip board; safety goggles; bottle for dilute hydrochloric acid; outdoor first aid kit; 3 mapping pens; grain size comparator cards. • Geophysics students receive: compass-clinometer; hand lens; waterproof field notebooks (quantity depends on degree programme); steel tape measure; safety helmet; clip board; safety goggles; bottle for dilute hydrochloric acid; outdoor first aid kit; 3 mapping pens; grain size comparator cards. • All Geology and Geophysics students are recommended to purchase the following items: a pair of compasses; set squares; protractor; pencils (including coloured); eraser; University-approved calculator. • Geology and Geophysics students will also need to provide their own walking boots, waterproof clothing, and a rucksack; some students purchase a ‘Weather writer’ which affords more protection for maps in wet weather. • Some of the items not included in the induction pack can be purchased from the department/University. Please visit Room 161/05, Level 1, NOCS. • Marine Biology students will receive a lab coat, dissection kit and waterproof notebook during Induction. • Oceanography students will receive a lab coat and waterproof notebook during Induction. Students are automatically insured whilst on University organised field courses undertaken as part of their official studies, including field work. The strength and prestige of our degree will open doors to a wide spectrum of employers who recognise graduates of our Ocean and Earth Science programme as well-qualified scientists with excellent personal and transferable skills in numeracy, communication and team working. Our graduates with degrees in oceanography are acknowledged as having a greater level of independence and self-reliance than comparable graduates. A degree in the Ocean and Earth Sciences will prepare you for a wide choice of careers such as civil engineering and construction, exploration, geophysical survey projects, conservation and government laboratory work. On arrival at the University all BSc Oceanography students are assigned a personal tutor from the academic staff, who provides help and encouragement throughout the degree course and beyond, into industrial or academic careers and research opportunities. Each degree programme is a stimulating mix of lectures, practical classes, field work and tutorials, supported by computer-aided learning, and independent study. You will acquire an in-depth understanding of the fundamental principles and modern concepts within your chosen subject, as well as a good personal and transferable skills profile. The fully modular course structure allows you maximum flexibility for specialisation according to your own interests. As part of the National Oceanography Centre, Southampton (NOCS), Ocean and Earth Science has a strong research-led world reputation. Cutting-edge research carried out by academic staff provides direct and enthusiastic input into a challenging and stimulating teaching programme. There is unique opportunity for students to undertake research projects with other NOCS-division scientists.